LindaStampz | Hey… don't just sit there reading this… Go stamp something! The “Toil and Trouble” suite of products has everything you need for a spook-tacular Halloween! Put on your party hats, and get ready to save. It’s time for Stampin’ Up!’s “It’s Our Birthday Stamp Sale!” to celebrate their 30th Birthday. For 24 HOURS ONLY (until 11:50 p.m. EST), you can save 15% on select stamp sets. This sale will be gone in a flash, so celebrate with us! Click on the picture above to visit my on-line store; click on SHOP NOW and the complete list of stamps that are on sale along with pictures with be featured. This sale is NOT while supplies last, so if a set should become sold out before the sale ends, you can still order the set and it will be shipped as soon as it’s back in stock. You can order directly on-line at http://lindastampz.stampinup.net and for a minimum $6.95 shipping your order will be sent directly to you. You may also contact me if you want to add your selections to my group order. But don’t wait, because the sale ends tonight at 11:50 p.m. The excitement of the holiday catalog is building, but before it’s all anyone can think about, we wanted to highlight this fantastic set from the annual catalog. With coordinating rhinestones and ribbon, you can use it for card projects or even gift packaging! Don’t Miss Out on the Party Pandas! You’ve just got to add this super-cute stamp set to your bag of stamping tricks! For every $50 you spend, you’ll receive a free Sale-A-Bration product. And this year, there are special level 2 products that can be received free for spending $100! If you spend $50, you can get one free level 1 product. If you spend $100, you can get one free level 2 product, OR, you can choose two level 1 items. Sale-a-Bration only lasts until March 31st, so act quickly! Fast Fuse Buy One Get TWO Free! For five days only, when you buy ONE Fast Fuse Adhesive, you’ll get TWO Fast Fuse Adhesive refills for FREE—while supplies last! This is the perfect time to stock up and save, so hurry and get those orders placed. This deal will be gone before you know it! To receive your free refills, add Fast Fuse Adhesive to your order (item 129026); the two Fast Fuse Adhesive Refills will be added to your order automatically. Once they’ve been added, the price listed for the two refills will show $0.00. This promotion will not apply when ordered as part of a Starter Kit or with Stampin’ Rewards. This promotion is while supplies last only. Due to challenges sourcing this product, we have a large—but finite—amount of Fast Fuse Adhesive we are able to sell. The promotion will turn off if our Fast Fuse Adhesive supply reaches a predetermined threshold. The sale has been set up this way so we are able to have the product available through the life of the 2017–2018 annual catalog. 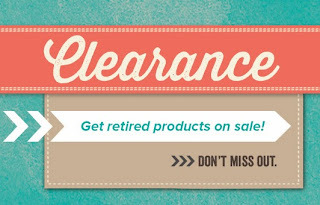 Shop my on-line store, www.lindastampz.stampinup.net, or call or email me ASAP with your order. Happy Fifth Anniversary Paper Pumpkin! Thanks to everyone who has helped us reach FIVE wonderful years with Paper Pumpkin! As part of the anniversary celebration, we have a fun surprise for our subscribers: a March kit that includes a fantastic, FREE gift and a specially designed, one-of-a-kind box. The photo above shows the 2017 four-year anniversary kit, which was awesome; so the five-year kit will be just as exciting! The celebration begins February 11 and runs until March 10 which is the cut-off date to subscribe and receive this special March kit. Visit www.paperpumpkin.com to start your subscription, and be sure to choose me as your demonstrator. If you have any questions or need help subscribing, let me know. You won’t want to miss out! Get exclusive extras when you join Stampin’ Up! Join as a demonstrator during Sale-A-Bration (January 3–March 31, 2018) and get your Starter Kit for just $99, along with TWO additional stamps sets included in your kit. FIRST: Choose $125 in Stampin’ Up! products for just $99! that’s up to a $101 value! *You may choose any stamp sets from the annual or occasions catalogs. Unfortunately, bundles, kits, and Sale-A-Bration items cannot be selected as free stamp sets for this promotion.